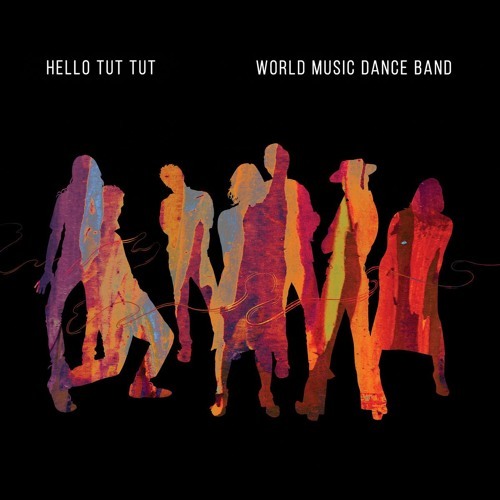 Hello Tut Tut's Debut album "World Music Dance Band". "World Music Dance Band" is Hello Tut Tut’s debut album and a culmination of the band’s creative ventures over the last two years. The album takes its audience on a musical journey shaped by the aesthetics of cultures from around the world. Paying homage to their roots in Eastern European music, Hello Tut Tut play with the sounds of the klezmer, balkan and gypsy musical traditions. By further drawing inspiration from Latin rhythms and African tones, they create uplifting music that plays into the listener’s heart and out through their feet. Engineered and co-produced by Myles Mumford of Rolling Stock Recording Room and mastered by Adam Dempsey, the album features guest musicians Amadou Suso (Senegambian Jazz Band), Stefan Nocevski (Galata Express) and Max Schollar-Root (Ungus Ungus Ungus) who contribute authentic West African, Balkan and electronic flavours. The album launch will bring these musicians together under the Southern Stars for an all inclusive night of celebration. Since their formation in May 2016, Hello Tut Tut has released a five-track EP and three singles, which have proven popular with fans around Australia. As well as touring the east coast... more credits released March 9, 2018 All tracks except Elephant Tanz (traditional) composed by Hello Tut Tut Produced by Hello Tut Tut and Myles Mumford Engineered and mixed by Myles Mumford at Rolling Stock Recording Rooms Mastered by Adam Dempsey Hello Tut Tut are: Joshua Gluck — clarinet Alexandra Keusch — violin Stefanie Gumienik — accordion, piano Eamon Roy — electric guitar Joshua Szabo — bass guitar Hughie Hanily — drum kit, guitar Nicholas Miles — percussion Also featuring: Amadou Suso (kora) on Rhinos Daydream Babcia (voice) featured on Tea Time Daniel Salazar Melo (congas) on Jobless Romantic Max Schollar-Root (beats) on Rosie Myles Mumford (trombone) on Pepper Stefan Nocevski (trumpet) on Pepper Wesley Kingsford (acoustic guitar) on Samba Tanz, Pepper, Jeff’s Corner Album art by Sebastian Berto Photography by Jackie Dixon Special thanks to Babcia, Roger Holdsworth of PBS Global Village, Open Studio, Rose Sejean, The Valley crew, Bobi of Napra, The Senegambian Jazz Band, Galata Express, Ungus Ungus Ungus, everyone who's come to a show and to all our wonderful friends and family who have supported us along the way. We hope you will enjoy this album as much as we enjoyed creating it. We would also like to acknowledge the traditional custodians of the land upon which these tunes were written and recorded, the Wurundjeri people of the Kulin nation.